If you’re planning on visiting the RHS Chelsea Flower Show or watching the coverage on TV this year, there’s no doubt you’ll see plenty of Bearded Irises on display in the Grand Pavilion and Show Gardens. 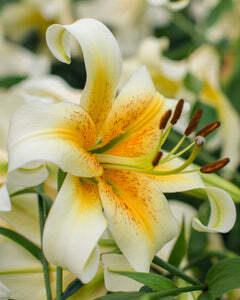 Flowering in early summer with magnificent honey-scented blooms raised tall above their neat, architectural foliage, they’re always a big feature at the show. 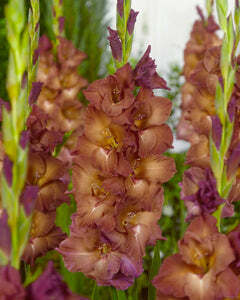 Get ready to create the Chelsea-look in your very own garden with Bearded Irises! Versatile bearded irises are perfectly at home in most sunny borders, providing classic cottage-garden charm, and sit just as comfortably within a contemporary planting scheme. One of the best things about bearded iris is their resilience and strong garden performance – their ability to withstand freezing winter temperatures as well as very hot conditions and drought in the summer. 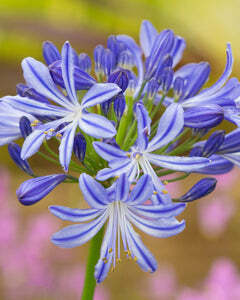 Despite their grand, exotic-looking flowers, these non-fussy plants are fully hardy, meaning they can live in your garden for a very long time, repeating their beautiful display in early summer year after year. Bearded Irises are also low maintenance, so they’re ideal if you’d rather spend more time enjoying the garden than working in it! 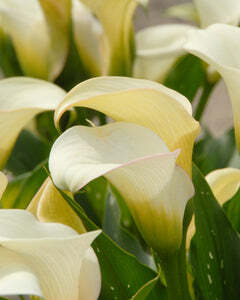 Their foliage forms a neat upright fan shape which looks good for most of the year, and each stem bears multiple blooms which provide a fabulous display of colour and scent between May and June. 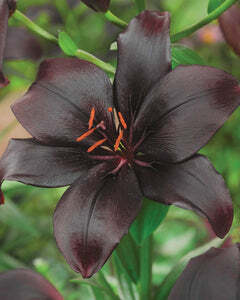 There are some technical terms about the blooms which are useful to note – they’re composed of three main parts – the ‘standards’ are the upper petals, the ‘falls’ are the lower petals and the ‘beard’, which is the fuzzy area within the flower throat. 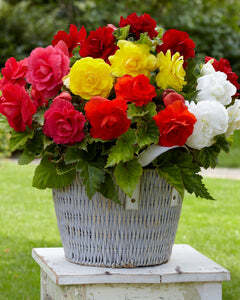 Some varieties are two tone, with the standards and falls in differing shades or sometimes contrasting colours. 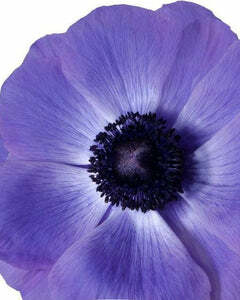 Others have a bicolour flower, which often is edged or blushed. 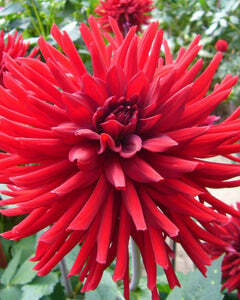 Some are just one colour all over for a more subtle effect, or for use within an already busy planting scheme. 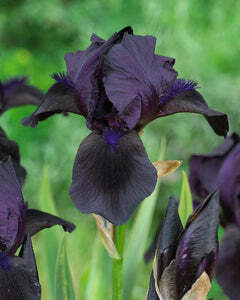 If you like dark, almost black flowers, look no further than Gracy’s elite Iris ‘Royal Satin’. 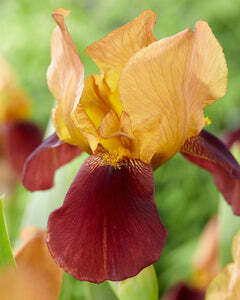 This is one great example of a ‘simple’ single-coloured iris which certainly doesn’t compromise on impact. The very dark mauve-blue blooms look really striking in mixed border, adding dramatic pinpoints to areas of soft, pastel shades, or equally so amongst foliage plants and shrubs. 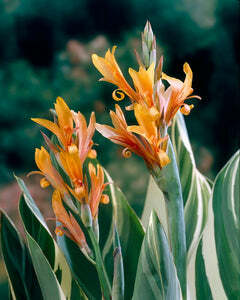 Bearded irises are grown from rhizomes, which are like chunky roots. These roots sit just above the soil surface where they can be baked by the sun enabling them to produce the best quality flowers. The best time to plant bearded iris rhizomes is in spring. They take a year to establish and may not flower until the following year, but their ease of growing and repeat performance which welcomes summer every year means they’re totally worth the wait. Your rhizomes can be planted straight outside when they arrive. They thrive in a sunny, dry site and look their best when planted in groups, so choosing a suitable location is key. Prepare the soil by removing any weeds, then aerating it by digging over with a fork. Position each rhizome horizontally in very shallow holes and partially cover them over with soil, just enough to hold them in place. With bearded irises, it’s important to make sure the rhizome is exposed, because the heat from the sun is essential for flowering. The rhizomes should be placed around 30cm apart from each other, with sufficient space around the planting group so that plenty of light and warmth can reach them. 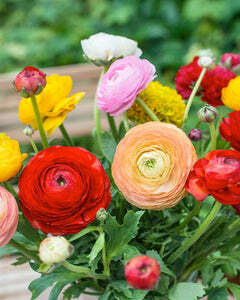 After planting, water them in generously. 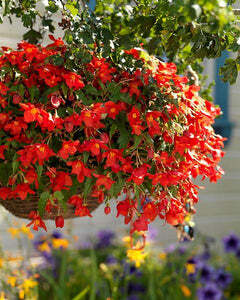 They may require regular watering to start with, but once they’re established they won’t require watering at all. 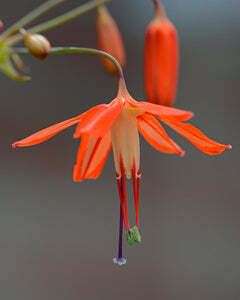 It’s also worth checking the height that they reach – taller varieties may require staking to support the flower spikes. 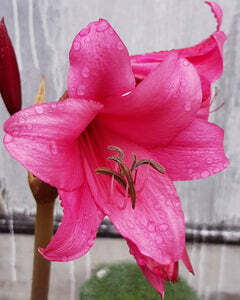 A simple cane pushed into the ground which the flower spike can be tied to is perfect. 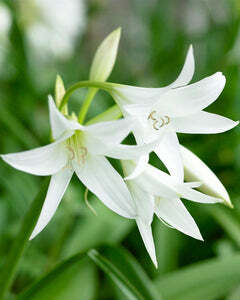 After flowering, remove the spend flower stalk so that it’s level with the foliage. Towards the end of the summer the leaves will start to die back, at which point you can cut the them into a neat fan shape with secateurs. 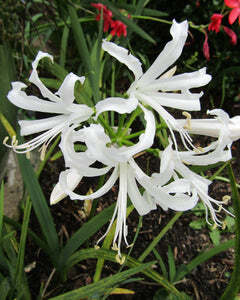 These plants are full hardy, so they can be left in place throughout winter. 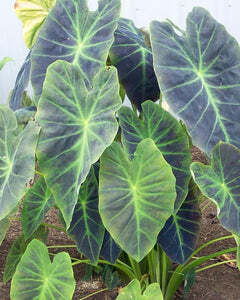 The following year, they’ll grow new foliage and flowers from late spring onwards. 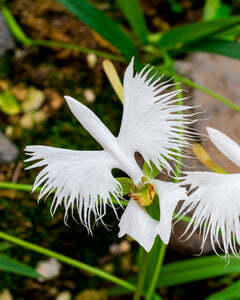 Bearded irises thrive in hot, dry and poor soil and, once established, are relatively trouble free. Avoid using mulch on irises because doing so will obstruct sunlight reaching the rhizomes. Every few years you should lift and divide bearded iris rhizomes in late autumn or early spring to keep them well spaced and healthy. To divide them, simply push a border fork into the ground next to the rhizomes and lift them out. Carefully separate any rhizomes that are growing too closely to one another, then replant them straight away at a spacing of around 30cm. 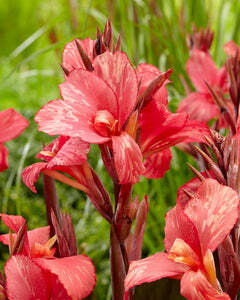 Bearded irises look great in a mixed cottage-style planting with other summer flowering plants. Otherwise, you can make them into a real point of focus by planting them next to plain foliage plants and shrubs where their exquisite flowers can really be admired. With a relatively narrow habit and non-invasive nature, bearded iris are a great choice for narrow beds or small spaces. As long as there’s plenty of sun and the soil is free-draining, they’ll be happy! 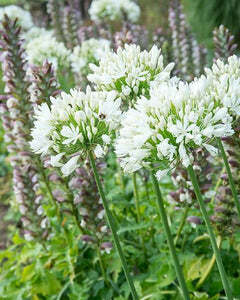 Both flowering in from May onwards, these two Chelsea regulars will bringing light and contrast to beds and borders. 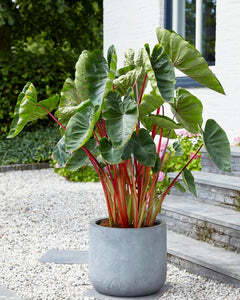 They’ll look great planted in groups next to each other, surrounded by foliage plants, shrubs or blue flowers. 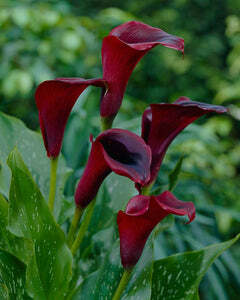 Both grow well in full sun and are ideal for borders. 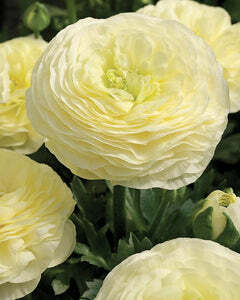 This pair with luxurious, velvety blooms complement each other beautifully in a sunny spot. The day lilies begin to flower in late May, just as the irises are in full bloom. While these two are a similar shade, the hemerocallis flower all summer long, so they’re a great way of extending the colour theme after the irises have finished. 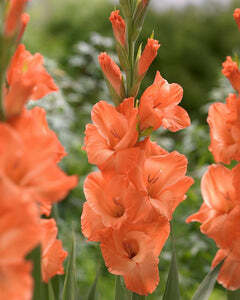 "Bearded Iris: Strong & Versatile Summer Garden Classic"
Sky Fire is a bulb to be planted at +20cm. Yet all the pictures and text refers to rhizomes. How many other bearded Iris are bulbs?